5 Why Upgrade Your PS4? With the advent of the current generation gaming consoles, gamers have had some new obstacles to overcome. Sure, the games are infinitely better than what they once were (even though some try to argue the opposite). But all of the extra content that has been stuffed into these games has to lead to much longer loading screens. Take NBA 2K for instance, When it was first introduced to the Sega DreamCast loading times were a matter of seconds. Fast forward to NBA 2K18, and you can experience loading times upwards of an entire minute now. This is a direct result of our games having a lot more detail, therefore needing more time to load. I’m not suggesting that we go back to the early 2000’s when video games were riddled with glitches, had terrible graphics, and open world environments were nothing more than a figment of our imaginations. Not even close, I love today’s gaming landscape. Instead, what I am suggesting is making an upgrade to your PlayStation that will allow faster loading times, less frame rate drops, and an overall better and smoother gaming experience. I am talking about upgrading your console’s internal hard drive. If you don’t want to read the entire article, here are our top picks. If you own a PlayStation 4, you will likely reach a point when you need to either add new hard drive space or just get a hard drive that will help your system run smoother. When searching for a hard drive, you will want to know what hard drives are compatible with the ps4. 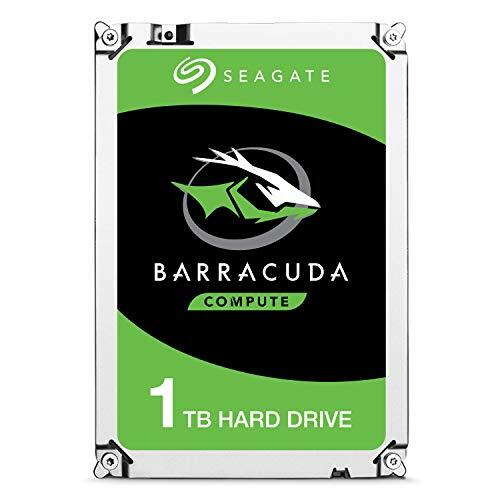 The Seagate BarraCuda is going to be a good upgrade for anybody who needs to add extra storage space to their PlayStation and is among the best PS4 HDD options. It has the same spin rate as the original PS4 HDD, so it won’t provide a lot of extra speed outside of the boost you get from having more open space on the hard drive. Let’s look at some of the benefits of the BarraCuda. The BarraCuda is essentially the same thing as the ps4 hard drive, but if you purchased a PlayStation that has a 500gb hard drive, then you are going to need the extra space that this hard drive will give you. If you are looking for a low-cost hard drive that will give you some much-needed storage space, then this one that you should be looking at. The Oyen Digital Hard Disk Drive is an extraordinarily effective HDD that can add a little bit of extra speed for your loading times. While it may not be the best ps4 hard drive, it is perfect for anybody that wants to add some storage space and give their system a little speed boost. The best part is, it also comes with the tools necessary to complete your upgrade. Having a spindle rate that is higher than the original ps4 hard drives yields surprisingly good results. While a spindle rate of 7200 rpm’s will not offer that much extra speed than the regular 5400 spindle rate, you can certainly see some difference in loading times. Solid state hybrid drives are the next step in the evolution of hard drive. It adds quite a bit of speed to your system, giving you better loading times and smoother gameplay with less frame rate drops. Because it is made with less moving parts than an HDD, it is more reliable and has a longer lifespan than hard drive disks, but because it is not a completely solid state drive, so you don’t have to spend exorbitant amounts of money on them. This particular drive is specifically meant for gaming use, making it perfect for serious gamers. Let’s look at some of the benefits you will get with this hybrid drive. Flash accelerated technology gives you loading times up to five times faster than your original ps4 hard drive. Multi-tier caching; 2.5-inch HDD with 8GB SSD cache memory for better performance. 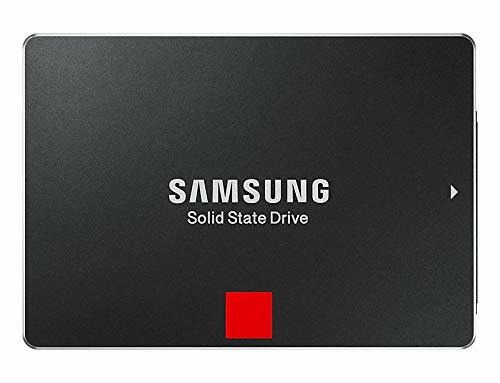 Anybody that is looking to make the leap from standard hard drive disks to solid-state drives, but are not yet willing or able to put that kind of money up for them, should look at this hybrid drive. It is an excellent entry level SSHD. If you are a serious gamer, then you will want as much storage space as possible on your PlayStation. Luckily, Nyko has you covered with its data bank that connects directly to your PS4 and allows you to place an entire desktop hard drive in your system. If you do get this hard drive, you will need to get the Nyko Data Bank to connect it to your system, adding to the amount you have to spend. But if you play a lot of games and are always running out of storage space, this is perfect for you. Note: The only model numbers that can accommodate this large of a hard drive is CUH-1200 and above. If you have below a CUH-1200, you can get this same hard drive in the 4gb or smaller. This is a hard drive that is meant for the most serious gamers out there. If you own a PlayStation 4 Pro and you want to take your gaming to the next level, the 850 Pro is a drive that will let you accomplish just that. Solid state drives or (SSD) offer maximum speed and durability, because they have less moving components, by storing information on microchips. This allows your system to move significantly faster (and cooler too) giving you the best possible gaming experience. I said earlier that if you have a PS4 Pro, this is a device that will be useful to you. That is because PS4 Pros are the only Sony systems running on a SATA 3 connection (the PS4 and PS4 Slim use SATA 2) and it is necessary to have SATA 3 to be able to get the full benefits of an SSD. Sometimes you aren’t necessarily looking to be able to add a whole bunch of storage room when purchasing a hard drive; sometimes you just want that extra boost of speed and smooth gameplay. If that is you, then the Samsung 850 Pro is something you should take a serious look at. When looking at pricing, we didn’t just look to see which one was the cheapest. Instead, we looked at which hard drive gives you the best bang for your buck. The winner here was Seagate FireCuda Gaming SSHD. It gives you 2TB worth of storage and gives a nice boost to your system’s performance for not much of a price increase over a 2TB HDD. More than nine out of ten times, if you are looking for a new hard drive for your console, it is because you don’t have any room left on your current one and you’re tired of trying to figure out which games or apps to delete. This was an obvious choice for us; the Western Digital Black Professional gives you a whopping six terabytes of storage rooms. Of course, you will have to purchase a data bank, but those extra few dollars you’ll need to spend are well worth it if you want a place to keep the hundreds of games you will inevitably downloading over the years of owning your system. Speed is something that we all want in the performance of our system, and the Samsung 850 Pro is going to give you more speed than you could ask for. Dropping loading times of games like The Witcher 3’s start uploading times from 92.5 seconds all the way down to 67.5 seconds, and give you smoother gameplay letting environments render faster on screen. Unfortunately, Solid State Drives aren’t going to make much difference for you if you aren’t using a PS4 Pro. So the hard drive with the best all-around speed performance would have to go to the Seagate Fire Cuda. Nest to solid-state drives, hybrid drives are the next best thing. You won’t get all of the benefits of a solid state, but hybrid drives still offer a noticeable speed boost to your system. It is vitally important that your hard drive is compatible with your console. The more items you have to get to make it fit your system, the more you have to spend to get your PlayStation running optimally. The Oyen Digital 1TB Hard Drive is easily the most compatible with this system; it even comes with a USB storage device and all the tools you need to install your new hard drive. When you first purchase your PlayStation, it seems like you have everything you need, outside of the games you want for it. And for a little while, you do. But once you get two or three games, your hard drive is already beginning to reach maximum capacity, throw in Netflix, Hulu, PlayStation Vue, and the slew of other apps you will end up downloading, and now you’ve got to figure out what to delete when the next GTA gets released. But, upgrading your hardware allows you to forgo the headache of deleting games and re-downloading them when you want to hop back on it. Not only that, but it gets you in and out of your games faster as well. Imagine all those hours you sit waiting at loading screens throughout the year. Now imagine you can cut that down 20 to 35 Percent. Better hard drives offer you that opportunity. Not to mention the money you can save by purchasing a hard drive yourself rather than paying a bunch of extra money on a system with only an additional 500 gigs of storage. Go ahead and buy the system with the smaller hard drive and then swap it out with a larger one you purchase yourself. There are several different hard drive brands out there. They are not all created equal, and there are some that you will want to stay away from altogether. We won’t name the ones that we don’t like. Instead, we looked at the brands that have proven to hold up well through heavy use. 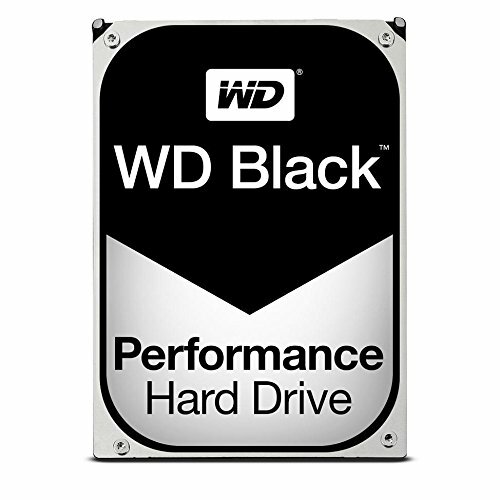 WD has been in the game for a long time, and during their time they have proven to be durable, reliable, and fast (a perfect combination of what an internal hard drive is supposed to be). Most of us know Samsung for their cell phone and television products, but the hardware inside of their devices is what makes them shine. In fact, Samsung even makes some of the internal parts in Apple products. Samsung hard drives have some of the most innovative designs allowing for top-notch performance. We should all be familiar with Seagate hard drives by now. They are among the most used hard drives, whether external or internal, and they have long been recognized as extremely dependable hard drives. These are not the only hard drives worth purchasing for your PS (or any other system), they are just the three brands that we like the most. The debate over internal versus external PS4 hard drives has been a hot topic for some time now. Truthfully they both have their ups and downs; neither is necessarily better than the other instead it depends on what you are looking for on your hard drive. Whether you should get a one or a two terabyte hard drive really depends on what you are looking for. Clearly, the price of an item is going to come into play at some point, and if you are more concerned with getting sufficient storage space at a price that won’t break your pockets, then a 1 TB is just fine. Also, if you’re more worried about speeding up load times than you are about storage space, you would be just fine getting an SSHD or SSD with 1TB of memory, saving yourself up to a couple of hundred dollars. But if storage capacity is your primary concern, well, of course, the 2TB option is your best bet. Because there are two different PlayStations out now, the hard drives are located in different areas. The regular PS4 hard drive is located under the cap on the top left of the system, and the PS4 Pro hard drive is located at the back of the system. Note: Be patient, it may take a while, but if you leave the system alone then you will be fine. If you unplug the console, you run the risk of corrupting your hard drive and bricking the system. 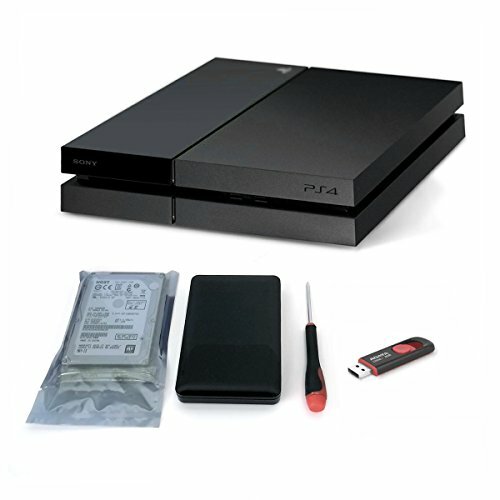 Replacing the hard drive in your PS4 really is quite a simple task. The only thing you need to do is worry about which hard drive best fits your need. For my money, the Seagate FireCuda SSHD is the hard drive that stands out the most to me. It offers extra durability because it has less moving parts than an HDD and gives your console a noticeable speed boost, without the insane costs you should expect to pay for a solid-state drive.